Poggiosecco wines are synonymous with quality and genuineness, love for the land and authenticity. They are the expression of authentic Tuscany and its typical "grapes". with natural methods and products according to organic and biodynamic farming techniques. The color is ruby red, the aroma is compact and lively, very fine and intense on the nose the whole feeling full of scents of berries with notes of cherry, violet, black cherry and tobacco. Intense ruby color with very deep purple hues; enveloping perfumes, fruity and vegetal, that aging tend to express notes of jam and spices, hints of blackberries, cinnamon, cloves and tobacco. 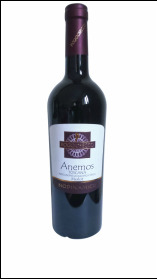 On the palate it detects softness, good freshness and discreet tannins, with long and pleasant aromatic persistence. Strong ruby red color with violet hues. The nose is very intense and fine, slightly herbaceous and vegetal with notes of small black fruits and tobacco. In the mouth it is elegant and soft, with a long and pleasant aromatic persistence. Straw yellow color with fruity aromas and notes of magnolia, pleasant almond finish. Important body, good flavor taste and balanced acidity. The colour of this wine is a deep red, with shades of violet with a clean and full bouquet of berries and a scent of tobacco. The taste is noble and balanced, beautifully enclosed in a warm and sweet alcoholic note. The color is intense ruby red with hints of prunes and a delicate hint of liquorice. It surprises the palate for the balance between the great structure of the Sangiovese and the softness and freshness of Merlot. In the mouth it surprises with its smoothness and persistence.